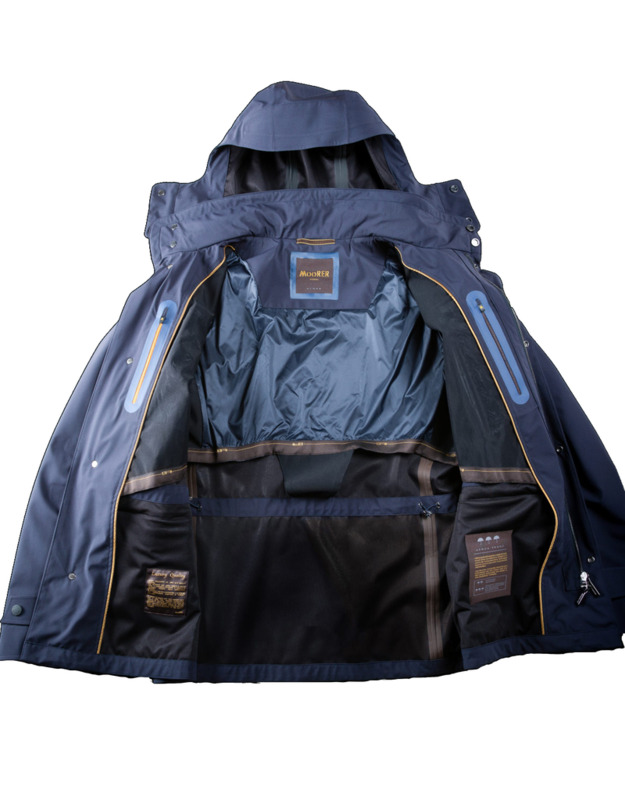 Field jacket with detachable hood and half-lined inner lining. 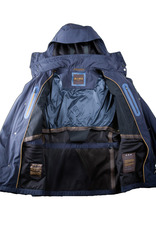 Made out of stretch fabric with double-layer jersey with breathable membrane and finished with heat-welded ribbons. Rainproof patch pockets with flaps on the chest and frogs on the sleeves coupled with special adhesives that prevent the details from losing their shape. Two-way front zipper and concealed buttons (visible black rubber on the surface).